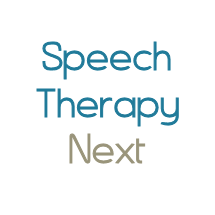 At Speech Manor we specialize in providing you with the best care for optimizing your speech communication skills. Services are delivered in individual and/or group sessions. Assessments are in-depth and completed in a timely manner. All services are provided in English and/or Portuguese. Barbara Bard is a speech-language pathologist in West Hartford, CT. Practice Type: • Self-Employed Practice Areas: • Speech Language Pathology • Language acquisition disorders • Learning disabilities Take the next step and contact Barbara Bard for a consultation in West Hartford, CT or to get more information. Paula Bacolini is a speech-language pathologist in Glastonbury, CT. Practice Type: • School Practice Areas: • Speech Language Pathology • Fluency and fluency disorders Take the next step and contact Paula Bacolini for a consultation in Glastonbury, CT or to get more information. Katrina Woodward is a speech-language pathologist in Avon, CT. Practice Type: • Self-Employed Practice Areas: • Speech Language Pathology • Swallowing disorders Take the next step and contact Katrina Woodward for a consultation in Avon, CT or to get more information.